The PR-28 is an end-address dynamic microphone with a large-diaphragm moving coil and Heil’s transformerless output design. The moving coil measures 1.25'' in diameter, and is double-shockmounted within the microphone body. It is a new design, and produces a frequency response from 55–18,000 Hz, with a +3dB presence peak at 3500Hz. Like all the Heil dynamic mics, the PR-28 uses strong rare-earth magnets made of Neodymium, boron, and iron. Unlike many dynamic mics, Heil’s designs do not use output transformers. According to Bob Heil, the design of the moving coil cartridge produces balanced output without the need for a transformer, and further that this transformerless circuit design is responsible for his microphones’ extended dynamic range. Early versions of the PR28 datasheet give a sensitivity value of -72dB/0.25 mV/Pa. This is incorrect, according to Bob Heil; the correct figure is 2.5 mV/Pa. 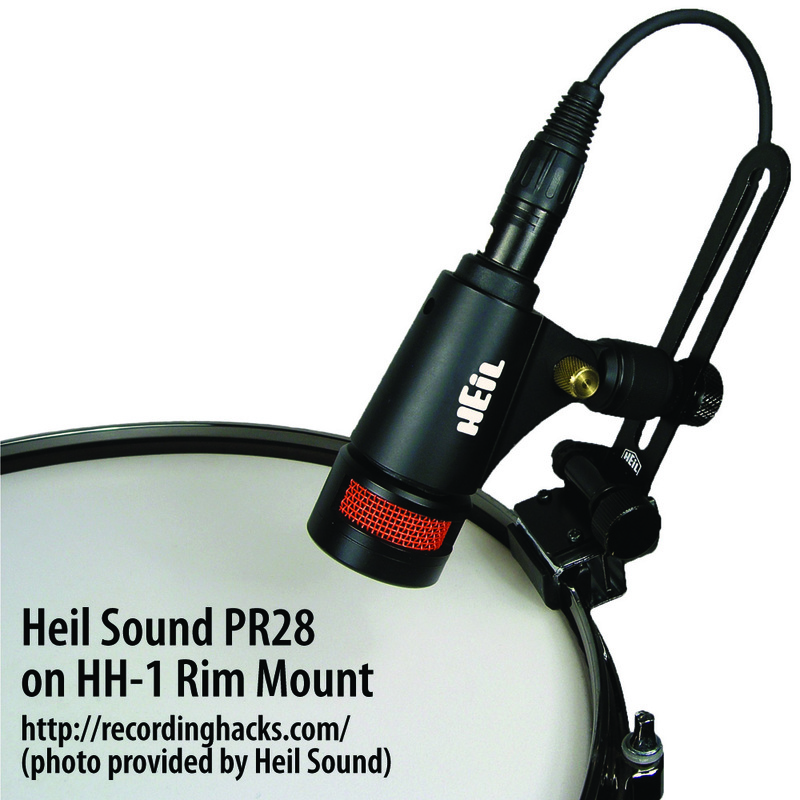 Intended as a tom mic, the PR-28 was initially released as part of Heil’s multi-mic drum kit packages, and subsequently made available individually. The mic body incorporates a stand mount with a built-in swivel. 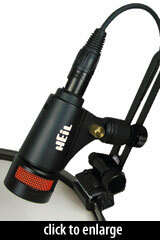 Paired with Heil’s HH-1 rim mount, the mic can be clamped to the edge of the drum for stage or studio use. The Heil Sound PR-28 is also known as: PR28.